Gabrlik, Frank Josef; Taken on strength 15th Field Regiment RCA on 12 Nov 1957, struck off strength on release on 23 Jan 1958. Gage, Edward Stephen; Taken on strength in 15 Field Regiment RCA on 23 Nov 1950, struck off strength on release on 1 Nov 1951. 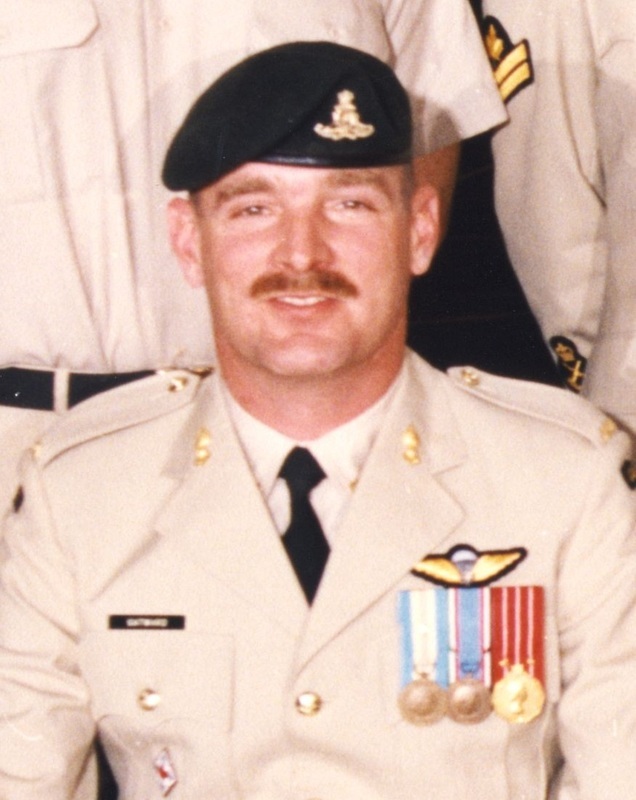 Gagne, Donald; Taken on strength as a Gunner in 15th Field Artillery Regiment RCA on 3 May 1984, qualified General Military Training on 3 May 1984, qualified TQ R021 on 7 Jul 1984, transferred to regular Force on 10 Apr 1984. Gagne, Paul Donald; Taken on strength as a Gunner in 15th Field Artillery Regiment RCA on 16 Aug 1982, released on 1 Mar 1983. Gagnon, Lionel Edmond Charles; Taken on strength in 68th Battery 15th Field Brigade, CA in 1932, Sergeant in 15th Field Brigade RCA from 1937 to 1939, taken on strength with 9th Ant-Aircraft Battery on 18 Sep 1939, taken on strength in Royal Canadian Air Force in Sep 1940, Aircraftman 2nd Class on 31 Oct 1940, awarded flying badge 17 Mar 1941, promoted to Pilot Officer on 18 Mar 1941, qualified flying instructor on 19 Jul 1941, deceased 16 Feb 1943 in flight training accident, buried in Ocean View Burial Park Burnaby. 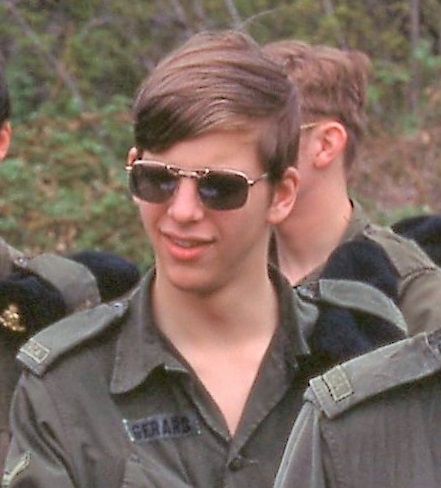 Gagnon, NA; Private in 158 Battery in 1969. Gal, Peter C; Taken on strength as a Musician in 15th Field Artillery Regiment RCA, Bombardier in the Regimental Band from 2014 to 2017. 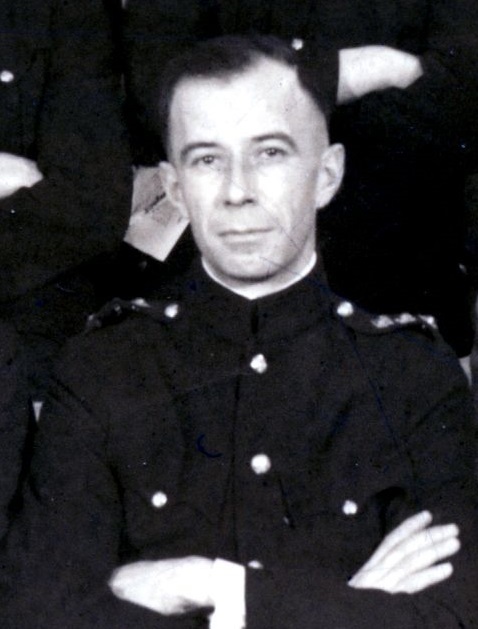 Galbraith, James Harold; Taken on strength and promoted Sergeant in 159 Battery 15 Coast Regiment RCA on 1 Apr 1946, appointed Acting Warrant Officer Class II and Battery Sergeant Major 158 Battery on 16 Jan 1947, completed QM & QMS Course on 2 Feb 1948, confirmed Warrant Officer Class II on 1 Feb 1949, relinquished appointment of Regimental Quarter Master Sergeant. Galbraith, RS; On 1947-1967 list of reunion invitees. Galdames, Eduardo; Taken on strength as a Gunner in 15th Field Artillery Regiment RCA on 1 Apr 1982, released on 15 Feb 1983. Gale, William Alexander; 15th Brigade Ammunition Column Victoria Driver May 1916, England Sept 1916, 62nd Battery Canadian Field Artillery Gunner Nov 1916, 68th Howitzer Battery Feb 1917, France Aug 1917, Canada and discharged June 1919. Gallagher, Ryan Christopher; Taken on strength as a Gunner in 15th Field Artillery Regiment RCA on 22 Apr 1993, qualified QL2 Common Recruit on 25 Aug 1993, released on 31 Jan 1995. 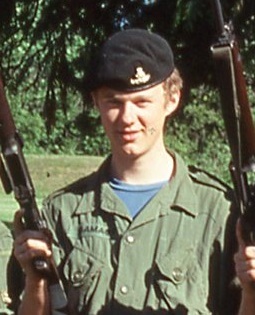 Gallagher, Stephen Neil; Taken on strength 15th Field Artillery Regiment RCA on 9 Jul 1979, released 22 Apr 1981. Gallant, Cyrus; Taken on strength with Prince Edward Island Heavy Brigade Canadian Garrison Artillery, taken on strength as a Gunner with the No. 5 Siege Battery Canadian Garrison Artillery on 29 Apr 1916, appointed Acting Bombardier 27 Jun 1916, embarked on the S.S. Southland on 26th Sep 1916, reverts to the ranks on 16 Dec 1916, unit renamed 8th Siege Battery Canadian Garrison Artillery on 31 Mar 1917, landed in France on 31 Mar 1917, gassed 7 Nov 1917, taken on strength Regimental Depot 14 Nov 1917, taken on strength Reserve Battery Canadian Siege Artillery on 1 Feb 1918, taken on strength 2nd TMB on 10 Jul 1918, proceeded to England 14 Apr 1918, struck off strength to Canada on 10 May 1919, discharged 17 May 1919, deceased 23 Aug 1959. Gallant, Emmanuel John; Taken on strength with Prince Edward Island Heavy Brigade Canadian Garrison Artillery, taken on strength as a Gunner with the No. 5 Siege Battery Canadian Garrison Artillery on 17 Apr 1916, embarked on the S.S. Southland on 26th Sep 1916, unit renamed 8th Siege Battery Canadian Garrison Artillery on 31 Mar 1917, landed in France on 31 Mar 1917, appointed acting Bombardier on 29 Apr 1917, gassed 30 Jul 1917, taken on strength Canadian Artillery Regimental Depot 5 Aug 1917, taken on strength Reserve Battery Canadian Siege Artillery on 29 Nov 1917, taken on strength 11th Canadian Siege Battery 2 Jan 1918, appointed Acting Corporal 12 Jan 1918, reverts to Bombardier on 23 Mar 1918, embarked for France on 2 Apr 1918, absorbed into 3 Brigade Canadian Siege Artillery on 3 Apr 1918, promoted Corporal 22 Jun 1918, arrived England 3 Apr 1919, embarked to Canada on 3 May 1919, discharged 18 May 1919. Gamage (Drinnan), Janet Elizabeth; Taken on strength as an Administrative Clerk in 15th Field Artillery Regiment RCA on 4 Jul 1977, qualified General Military Training on 36 Aug 1977, qualified TQ1 Administration on 11 Nov 1978, promoted Corporal on 1 Aug 1978, qualified Non-Trade Driver on 27 Aug 1978, qualified Junior NCO on 3 Aug 1979, qualified TQ2 Administration on 1 Dec 1979, promoted Master Corporal on 3 Aug 1980, qualified QL3 Administration on 17 Aug 1980, transferred to Supplementary List on 6 Oct 1983. Gamage, Dave Peter; Taken on strength as a Gunner in 15th Field Artillery Regiment RCA on 18 Mar 1976, qualified General Military Training on 5 Jun 1976, awarded Most Efficient Recruit of the Year trophy 1976/1977, qualified TQ1 Artillery on 8 Jan 1977, promoted Bombardier on 1 Apr 1977, qualified Junior NCO Course on 31 Dec 1977, awarded Most Efficient Recruit of the Year trophy in 1977, qualified TQ2 Artillery communications on 28 Jun 1978, promoted Master Bombardier on 1 Apr 1979, qualified Senior NCO course on 27 Jul 1979, promoted Sergeant on 1 Apr 1980, transferred to Supplementary List on 6 Oct 1983. Gamai, Emil John; Taken on strength as a Gunner in 15th Field Artillery Regiment RCA on 29 Jan 1983, released on 10 Mar 1983. 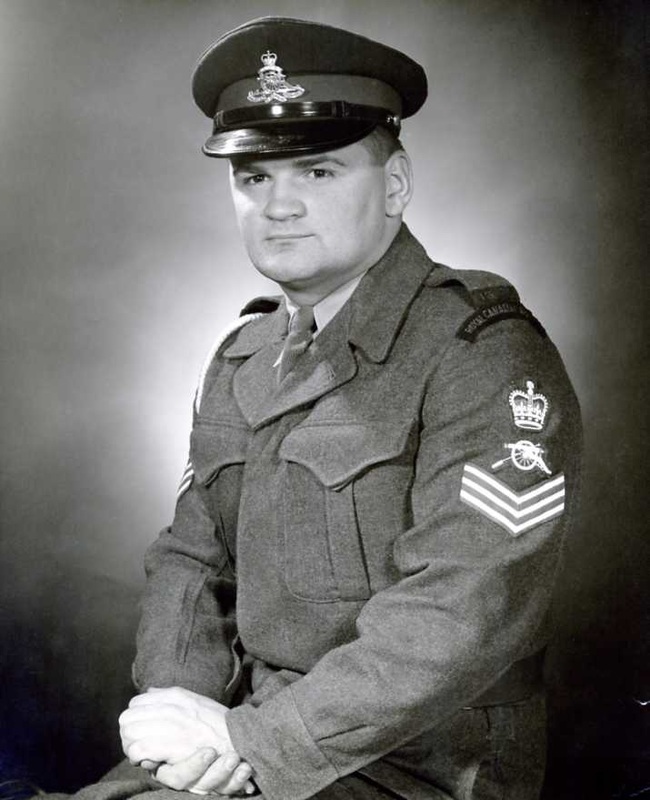 Gammage (Gamage), Kenneth George; Taken on strength 15 Field Regiment RCA on 17 Jun 1954 with former service in Canadian Army Active Force, struck off strength on release on 1 Dec 1955. ​Ganguin, Stephen Edward; Taken on strength 15th Field Artillery Regiment RCA on 20 Mar 1976, qualified Artilleryman on 8 Jan 1977, promoted Bombardier on 1 Apr 1977, promoted Master Bombardier on 1 Apr 1979, transferred to Supplementary List on 4 Mar 1982. Ganshorn, JA; Lieutenant in 1939, Attached from Royal Canadian Army Medical Corps. Gao, Xun; Taken on strength in 15th Field Artillery Regiment RCA, Corporal in 2017. ​Garbutt, Derek Lee; Taken on strength as a Gunner in 15th Field Artillery Regiment RCA on 12 May 1992, qualified QL2 General Military Training on 24 Jul 1992, qualified QL3 Artilleryman on 14 Aug 1992, qualified FMC Driver Wheeled on 14 Feb 1993, qualified Artillery Technician Part I (Recce) on 29 May 1993, promoted Bombardier on 12 May 1994, released on 31 Jan 1995. 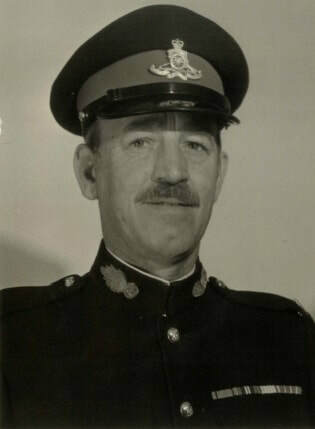 ​Garbutt, W; Attached to 15th Field Regiment RCA from Western Command Chaplain Unit on 19 Jan 1956. Gardiner, George Waltham; Taken on strength as a Gunner with the No. 5 Siege Battery Canadian Garrison Artillery on 9 May 1916, embarked on the S.S. Southland on 26th Sep 1916, struck off strength 6 Oct 1916 due to poor eyesight. Gardner, Bertram Ross; Attested Canadian Overseas Expeditionary force 5 Apr 1917, regimental #344038, 73rd Battery CFA, arrived England 16 Feb 1918, taken on strength 68th Battery 16th Brigade North Russia Expeditionary Force 21 Aug 1918, proceeded overseas 20 Sep 1918, disembarked Archangel 1 Oct 1918, embarked for the United Kingdom 11 Jun 1919, to Canada 5 Jul 1919, discharged 17 Jul 1919, deceased 21 Jan 1929. Gardner, Robert Jan; Taken on strength 15th Field Regiment RCA on enrolment on 15 Dec 1955, struck off strength on release on 21 Feb 1957. Garnett, Glenn W; ​Master Bombardier in 1992, Regular Force Storeman 15th Field Artillery Regiment RCA in 1992. Garrett, Charles Kennedy; Taken on strength 31 Battery 15th (Vancouver) Coast Brigade RCA NPAM 30 Jul 1940, assigned regimental number VV9435, assigned new regimental number K415545. Garrett, Francis Cassillis (Bud); Lance Bombardier (Acting Bombardier) in 85 Heavy Battery 15th (Vancouver) Coast Brigade RCA on 26 Aug 1939, Lieutenant in 1941, taken on strength from the retired list to 85 Battery 15th Coast Regiment RCA on 1 Apr 1946, promoted Captain on 10 Apr 1947, to be Major on 27 May 1951, struck off strength on transfer to Supplementary Reserve (RCA) on 2 Sep 1957, attached fap from Supplementary Reserve (RCA) on 3 Sep 1957, ceases attachment on 15 Nov 1957, taken on strength on transfer from 24 Militia Group Headquarters on 1 Oct 1958, promoted Acting Lieutenant-Colonel on 1 Oct 1958, appointed Commanding Officer on 1 Oct 1958, awarded Canadian Forces Decoration 14 Nov 1960. Garrett, Robert Floyd; Taken on strength as a Gunner in 15th Field Artillery Regiment RCA on 25 Jan 1990, qualified General Military Training on 29 Apr 1990, qualified Artilleryman on 9 Feb 1991, qualified QL3 Crewman on 30 Apr 1992, qualified FMC Driver Wheeled on 15 Jun 1992, qualified Qualification Level 4 Communications on 17 Jul 1992, promoted Bombardier on 5 Nov 1992, operational deployment with United Nations Protection Force from Jan 1993 to Nov 1993, promoted Master Bombardier on 26 Mar 1997, promoted Sergeant on 11 Apr 1999, awarded the Most Proficient Detachment Commander trophy in 2000, Warrant Officer from 2008 to 2010, Master Warrant Officer from 2014 to 2016, promoted Chief Warrant Officer and appointed Regimental Sergeant Major 2018. Garroway, NM; Private in Regimental Headquarters in 1969. Garven, Alexander Smith; Taken on strength as a Gunner with 85th Battery 15th (Vancouver) Coast Regiment RCA NPAM on 2 Aug 1940, assigned regimental number V10416, assigned new regimental number K417531. Gaspar, Jose Manuel Dias; Taken on strength 15th Field Artillery Regiment RCA on 3 Jul 1978, qualified Artilleryman on 3 Aug 1979, qualified Artillery Communicator on 2 Sep 1979, promoted Bombardier on 3 Aug 1979, released 1 Dec 1981. Gatenby, WP; Gunner in 85th Heavy Battery, 15th (Vancouver) Coast Brigade, RCA in 1941. ​Gass, Laurence Henderson; ​Member of Montreal Heavy Brigade CA, enrolled in Canadian Overseas Expeditionary Force on 15 Mar 1916 as a Lieutenant , Forward Observation Officer 5th Siege Battery, Canadian Garrison Artillery, died of wounds received at Vimy Ridge on 8 Apr 1917, rests in Barlin Communal Cemetery, France. Gates, Jeffrey Thomas; Taken on strength 15th Field Artillery Regiment RCA on 26 Feb 1976, employed GAMESCAN from 9 Jun 1976 to 22 Aug 1976, qualified Artilleryman on 8 Jan 1977, promoted Bombardier on 1 Mar 1977, released 5 Jul 1977. Gates, Rodd Thomas; Taken on strength as a Gunner in 15th Field Artillery Regiment RCA on 12 Feb 1987, qualified General Military Training on 13 Jun 1987, transferred to Regular Force on 13 Oct 1988. Gatward, Don B; Warrant Officer from 1992 to 1996, Regular Force Cadre from 1992 to 1996. Gau, Joanne Leah; ​Taken on strength as a Musician in 5th (BC) Field Battery RCA, transferred to 15th Field Artillery Regiment RCA on 9 Sep 1992, released on 4 Feb 1994. Gaudet, Cornelius Joseph; Taken on strength with 4 Regiment from 1900 to 1913, taken on strength with Prince Edward Island Heavy Brigade Canadian Garrison Artillery, taken on strength as a Gunner with the No. 5 Siege Battery Canadian Garrison Artillery on 29 May 1916, embarked on the S.S. Southland on 26th Sep 1916, unit renamed 8th Siege Battery Canadian Garrison Artillery on 31 Mar 1917, landed in France on 31 Mar 1917, gassed 30 Jul 1917, taken on strength Canadian Artillery Regimental Depot 4 Aug 1917, attached to 2 CCD on 10 Sep 1917, cease attachment to 2 CCD on 26 Oct 1917, taken on strength Reserve Battery Canadian Siege Artillery on 26 Oct 1917, taken on strength 11th Canadian Siege Battery 2 Jan 1918, embarked for France on 2 Apr 1918, absorbed into 3 Brigade Canadian Siege Artillery on 3 Apr 1918, proceeded to England 28 Mar 1919, embarked to Canada on 3 May 1919, discharged 18 May 1919, deceased 8 Aug 1969. Gaudet, Joseph James; Taken on strength with Prince Edward Island Heavy Brigade Canadian Garrison Artillery, taken on strength as a Gunner with the No. 5 Siege Battery Canadian Garrison Artillery on 17 Apr 1916, embarked on the S.S. Southland on 26th Sep 1916, unit renamed 8th Siege Battery Canadian Garrison Artillery on 31 Mar 1917, landed in France on 31 Mar 1917, proceeded to rest camp on 4 Jul 1917, returned to unit on 18 Jul 1917, gassed 2 Aug 1917, taken on strength Canadian Artillery Regimental Depot 4 Aug 1917, returned to unit, burst ear drum on 7 Nov 1917, now known as 3 Brigade Canadian Siege Artillery on 3 Apr 1918, 10 days leave in Paris on 26 Jan 1919, rejoined unit on 9 Feb 1919, proceeded to England 28 Mar 1919, embarked to Canada on 7 Jun 1919, discharged 22 Jun 1919, deceased 25 Mar 1949. Gauthier, Arthur PR; Taken on strength 15th Field Artillery Regiment RCA on 10 Dec 1974, qualified Artilleryman on 19 Mar 1976, employed GAMESCAN from 18 Jun 1976 to 9 Aug 1976, released 2 Dec 1976. Gauthier, Charles Oswald; Taken on strength Royal Canadian Horse Artillery, qualified QL3 Artillery on 3 Jan 1995, qualified Driver Tracked , qualified Winter Warfare Basic, taken on strength as a Gunner in 15th Field Artillery Regiment RCA on 28 May 1998, promoted Bombardier on 4 Jun 1998, qualified LFC Junior NCO on 11 Jul 2000, promoted Master Bombardier on 1 Sep 2000, transferred to Regular Force on 26 Oct 2000. Gauthier, Joseph Charles; Taken on strength 15th Field Artyillery Regiment RCA on 27 Nov 1973, qualified Transport Operator on 8 Aug 1974, qualified Artilleryman on 4 Jan 1975, qualified Artillery Communicator on 1 Aug 1975, promoted Bombardier on 1 Apr 1974, operational tour with United Nations Emergency Force Middle East from 18 Jun 1976 to 9 Feb 1977, second operational tour with United Nations Emergency Force Middle East from Jul 1978 to Feb 1979, operational tour with United Nations Disengagement Observer Force from Feb 1979 to Dec 1979, component transferred to Regular Force on 20 May 1980. Gaynor, Gordon Ernest; Attested Canadian Overseas Expeditionary Force 6 Jun 1916, #340865, 70th Overseas Battery Canadian Field Artillery, embark Halifax 23 Nov 1916, disembarked Liverpool 30 Nov 1916, taken on strength Reserve Brigade Canadian Field Artillery 30 Nov 1916, taken on strength Canadian Artillery Regimental Depot 28 Mar 1917, attached to 4th Battery Reserve Canadian Field Artillery for employment 28 Mar 1917, taken on strength Reserve Brigade Canadian Field Artillery 18 May 1917, taken on strength 2nd Brigade Canadian Reserve Artillery 22 Jun 1917, taken on strength Reserve Brigade Canadian Field Artillery 18 Nov 1917, identified as a minor, taken on strength Composite Brigade Canadian Field Artillery 23 May 1918, struck off strength to 68th Battery 16th Brigade North Russia Expeditionary Force 21 Aug 1918, proceeded overseas 20 Sep 1918, disembarked Archangel 1 Oct 1918, embarked for the United Kingdom 11 Jun 1919, to Canada 5 Jul 1919, discharged 17 Jul 1919, Trooper in "C" Sub Section 68 Battery Canadian Field Artillery North Russia Expeditionary Force in April 1919, discharged 15 Jul 1919, deceased 2 Jan 1928, interred Mount Pleasant Cemetery Toronto ON. Gayton, Douglas Edwin; Taken on Strength 15th (Vancouver) Coast Brigade RCA in 1939, Major Canadian Defence Liaison Staff Washington as at 1 Nov 1965, Directorate of Manpower Programming and Control Establishment Canadian Forces Headquarters as at 1 Nov 1966 to 1970, retired in 1972, deceased 13 Jan 2004. 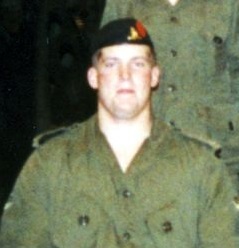 Gayton, Douglas Phillip; Captain on Cadet Instructors List, Taken on strength in 15th Field Artillery Regiment RCA as a Lieutenant on component transfer on 18 Feb 1993, awarded Home Station Sword as top candidate of the year for Artillery Officer Training, promoted Captain from on 4 Dec 2003, appointed a Member of the Order of Military Merit. ​Gee, Anthony Strickland; Taken on Strength as a Gunner in 15th Field Artillery Regiment RCA on 22 Jun 1989, qualified General Military Training on 25 Aug 1989, qualified Basic Artilleryman on 11 May 1990, qualified Artillery Communications on 7 May 1992, operational tour with UNFICYP in 1992/1993, promoted Bombardier on 9 Mar 1993, qualified Artillery Technician Part 1 on 29 May 1993, qualified LFC Driver Wheeled on 25 Jun 1995, promoted Master Bombardier on 13 Aug 1997, qualified QL4 OP Technician on 9 Mar 1993, qualified driver AVGP on 21 Jun 2000, Sergeant in 2009. ​Gee, Arthur Edwin; Taken on strength as a Bandsman in 5th Independent Medium Battery RCA, promoted Bombardier on 1 Mar 1963, promoted Sergeant on 1 Nov 1966, taken on strength 15th Field Artillery Regiment RCA on 1 Nov 1970, promoted Second Lieutenant on 1 Nov 1971, promoted Lieutenant on 1 Nov 1971, promoted Captain on 1 Feb 1975, attach posted to Headquarters Militia Area Pacific on 14 Oct 1976, released 21 Jan 1981. Gelmich, Howard George​; Taken on strength as a Musician in 15th Field Artillery Regiment RCA on 15 May 1978, released 1 Sep 1978. ​Gempton, SW; Private in 209 Battery in 1969. ​Gerard, Reginald Erwin; Taken on strength 15th Field Artillery Regiment RCA on 8 Nov 1973, released 26 Oct 1976. Gerard, Robert Wayne; Taken on strength 15th Field Artillery Regiment RCA on 3 Oct 1974, qualified Artilleryman on 4 Jan 1975, released 15 Jan 1976. Gernitz, Charles Peter; Taken on strength as a Gunner in 15th Field Artillery Regiment RCA on 30 Nov 1985, qualified General Military Training on 1 Feb 1986, released on 13 Feb 1986. Gertsen, Carey A; Regular Force Unit Administrative Sergeant from 1984 to 1986. Gesi, J; Bandsman (Gunner) in the 43rd Medium Anti-Aircraft Regiment RCA CA(M) Military Band in 1958. Geub, Robert; Taken on strength 15th Field Artillery Regiment RCA on 3 Jul 1978, qualified Artilleryman on 4 Apr 1979, promoted Bombardier on 1 Nov 1979, transferred to Regular Force on 8 Oct 1980. Ghag, Manohar Singh; Taken on strength as a Gunner in 15th Field Artillery Regiment RCA on 20 May 1993, qualified General Military Training on 25 Aug 1993, released on 30 Apr 1994. 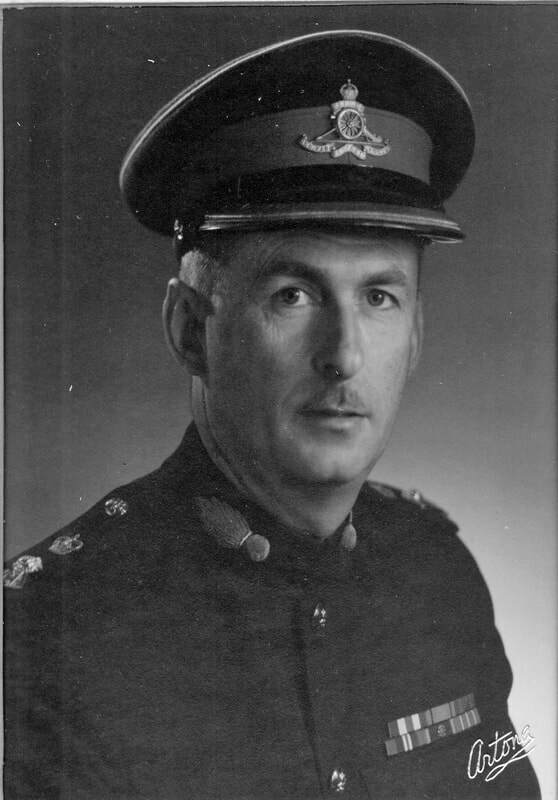 Gibbs, John Drury; Taken on strength in 15th Field Regiment RCA on 13 Nov 1952 as Lieutenant with former service in Canadian Army (Special Force), promoted Captain on 15 Feb 1955. Gibbs, Philip Archibald; Served with 90th Regiment in Winnipeg for one year, Gunner in 15th Brigade Canadian Field Artillery in 1916, deceased 4 March 1960. Gibbs, Wilbert Darl; Taken on strength in 15th Field Regiment RCA on 18 Sep 1952, struck off strength on release on 6 Dec 1954. Gibney, Denis Alexander; Taken on strength 15th Field Artillery Regiment RCA on 24 Feb 1976, released 9 Jul 1976. Gibson, Chad Everret; Taken on strength as a Gunner in 15th Field Artillery Regiment RCA on 11 Aug 1992, released on 3 Dec 1993. Gibson, LB; On 1947-1967 list of reunion invitees. Gibson, William Osmund; Taken on strength with 25th Battery Canadian Field Artillery, appointed commissioned rank on 1 May 1915, taken on strength Canadian Overseas Expeditionary Force on 13 Aug 1915, taken on strength 8th Brigade Canadian Field Artillery, embarked from Canada 5 Feb 1916, landed in France on 14 Jul 1916, leave of absence 11 to 23 Dec 1916, mentioned in despatches for gallant and distinguished service on 4 Jan 1917, transferred to Lieutenant in 31 Battery 9th Brigade on 5 May 1917, to be acting Captain from 15 Aug 1917 to 8 Feb 1918, leave of absence from 11 to 22 Nov 1917, leave of absence 29 Dec 1917 to 13 Jan 1918, scalp wound admitted to hospital 21 Feb 1918, struck off strength to Canada on 16 Jul 1918, demobilized on 5 Dec 1918. Giesbrecht, Edward Arthur; Taken on strength in 15th Field Regiment RCA on 15 Jan 1953, struck off strength on 18 Jun 1953. Giffen, Martin Frederick McAlpine; Taken on strength 15th Field Artillery Regiment RCA on 7 Jul 1980, released 31 Aug 1980. Gildroy, Gerald Matthew; Taken on strength 15 Field Regiment RCA on 21 Oct 1954, struck off strength on transfer to 8 Provost Company C Pro C on 25 Jan 1956. Gill, Donald Arthur; ​Taken on strength as a Gunner with 58th Battery 15th (Vancouver) Coast Regiment RCA NPAM on 7 Aug 1940, assigned regimental number V9939, assigned new regimental number K416556. Gill, John Stanley; Served with 5th Canadian Garrison Artillery, Gunner in 15th Brigade Canadian Field Artillery in 1916. Gill, Kultar Singh; Taken on strength as a Gunner in 15th Field Artillery Regiment RCA on 27 May 1997, qualified QL2 Basic on 3 Aug 1997, qualified QL3 Artillery on 22 Aug 1997, released on 25 Aug 1997. Gillanders, Ian McRae; Taken on strength in 15th Field Regiment RCA on 1 Oct 1953, struck off strength on 29 Apr 1954. Gillanders, Joan Claire; Taken on strength from No. 111 Manning Depot 15 Field Regiment RCA on 6 Oct 1953, appointed Lance Corporal on 1 Jan 1955, struck off strength on 15 Feb 1956. Gillard, Quinn Daniel; Taken on strength as a Gunner in 20th Field Artillery Regiment RCA on 20 Apr 1991, qualified QL2 general Military Training on 23 Jul 1991, qualified QL3 Artillery on 9 Aug 1991, qualified Artillery Driver Wheeled on 5 Jan 1992, operational tour with United Nations Force in Cyprus from 31 Jul 1992 to 16 Mar 1993, promoted Bombardier on 24 Feb 1993, qualified Command Post Technician on 30 Jun 1993, qualified Recce Technician on 28 Jul 1993, qualified Basic Parachutist on 22 Oct 1993, operational tour with United Nations Protection Force from 17 Jan 1994 to 25 Sep 1994, transferred to 15th Field Artillery Regiment RCA on 1 Jan 1995, qualified CF Junior Leaders Course on 7 May 1997, promoted Master Bombardier on 13 Sep 1997, transferred to 20th Field Artillery Regiment RCA on 13 Sep 1998. ​Gillespie, Hebden John; Taken on strength 50th Highlanders of Canada 1913, Captain, taken on strength 15th Brigade Canadian Field Artillery as paymaster in 1916, embarked Halifax 11 Sep 1916, disembarked Liverpool 22 Sep 1916, absorbed by 14th Brigade Canadian Field Artillery 22 Jan 1917, proceeded overseas 21 Aug 1917, granted 14 days leave Paris and Nice 15 Mar 1918, discharged 20 Dec 1918, deceased 7 Apr 1929, buried Ross Bay Cemetery Victoria BC. Gillespie, N; Lieutenant in 15th Field Artillery Regiment RCA in 1966/1967. ​Gillies, Matthew Hunter; Taken on strength as a Gunner in 15th Field Artillery Regiment RCA on 23 Jun 1992, qualified QL2 General Military Training on 24 Jul 1992, qualified QL3 Artilleryman on 14 Aug 1992, qualified QL4 Artillery Driver Wheeled on 14 Feb 1993, qualified Artillery Technician Part I (Recce) on 29 May 1993, qualified QL4 Artillery Communications on 23 Jan 1994, promoted Bombardier on 23 Jun 1994, qualified Junior NCO on 29 Jul 1994, promoted Master Bombardier on 1 Sep 1995, qualified QL6A Part I on 26 Jul 1996, qualified QL6A Part II on 9 Sep 1996, awarded the Best Bombardier of the year trophy in 1997, promoted Sergeant on 13 Dec 1997, transferred to 2nd Field Artillery Regiment RCA on 6 Oct 1998. 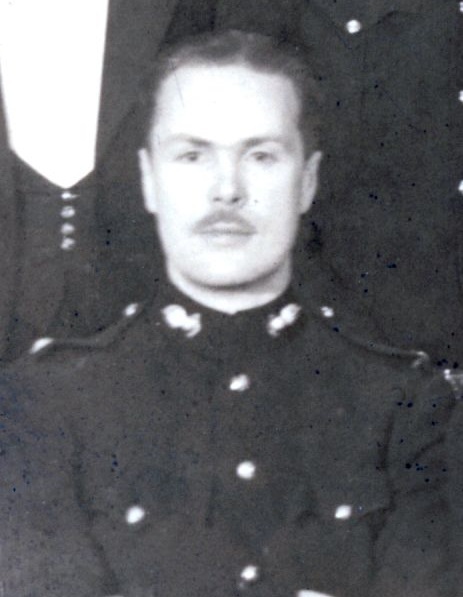 Gilliland, Robert Charles; Taken on strength 15 Field Regiment RCA on 28 Jan 1954, struck off strength on release on 23 Sep 1954. Gillis, Archie John; Taken on strength 15th Field Regiment RCA on 30 Jan 1958, member of 15th Field Regiment RCA CA(M) Military Band on 15 Oct 1959, relinquished rank of Lance Bombardier on 15 Oct 1959, struck off strength on transfer to 6 Field Squadron RCE CA(M) on 15 Oct 1959. ​​Gillis, Damien; Gunner from 2000 to 2003. Gillis, Joseph John; Taken on strength 15 Field Regiment RCA on 23 Sep 1954, struck off strength on release on 1 Apr 1957. Gilmore, JP; Taken on strength 15th (Vancouver) Coast Brigade RCA, assigned regimental number V9219, attended Nanaimo Camp 1 Sep 1940, assigned new regimental number K415015. 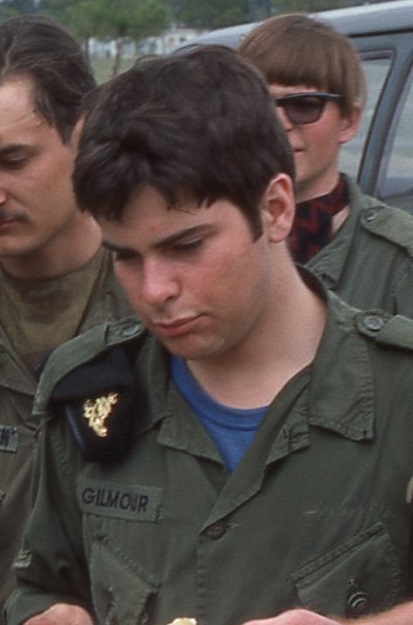 ​Gilmour, Lorne Richard; Taken on strength 15th Field Artillery Regiment RCA on 12 Jun 1975, qualified Driver Non-Trade on 9 Dec 1975, qualified Artilleryman on 11 Jan 1976, employed GAMESCAN from 18 Jun 1976 to 9 Aug 1976, promoted Bombardier on 1 Nov 1976, qualified Artillery Communicator on 12 Feb 1977, qualified Driver Wheeled on 31 Mar 1977, REFORGER Flyover to 1st Regiment Royal Canadian Horse Artillery in Germany from 22 Jul 1977 to 15 Oct 1977, awarded the Gunner Douglas Corsor Jr. memorial trophy in 1977, released 8 Mar 1978. Gilson, Percival (Percy) Willard; Attested Canadian Overseas Expeditionary Force 1 May 1916, assigned Regimental # 332811, taken on strength 62nd Battery 15th Brigade Canadian Field Artillery, embarked Halifax 11 Sep 1916, disembarked Liverpool 22 Sep 1916, absorbed by 58th Battery 14th Brigade Canadian Field Artillery 22 Jan 1917, landed in France 22 Aug 1917, on command 1st Army School of mines 21 Mar 1918, rejoined unit 24 Mar 1918, on command for remounts 26 Mar 1918, rejoined unit 31 Mar 1918, hospitalized 16 Jul 1918, rejoined unit 29 Sep 1918, hospitalized injury 21 Nov 1918, invalided sick and posted to Canadian Artillery Reinforcement Depot 14 Dec 1918, Away Without Leave admonished with 2 days forfeiture of pay 12 Feb 1919, struck off strength to Canada 23 Mar 1919, discharged 6 Apr 1919, married Doris Creighton 9 Jun 1920, deceased 21 Dec 1983. Gilson; Nicknamed Slim, Gunner in 85th Heavy Battery 15th (Vancouver) Coast Brigade RCA on Yorke Island. Gingell, Leonard E; Taken on strength in 15 Field Regiment RCA on 11 Jan 1951, appointed Lance Bombardier on 1 Mar 1953, relinquished appointment of Lance Bombardier on 7 Oct 1954, struck off strength on 21 Oct 1954. Girard, Lawrence Joseph; Taken on strength 15th Field Regiment RCA on 9 May 1957. 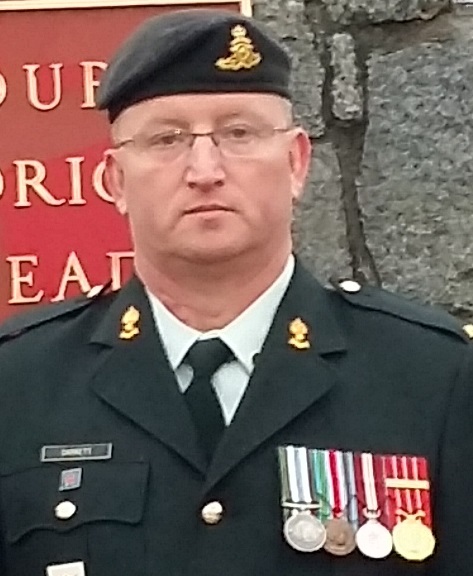 Girardi, John Cecil; Taken on strength in 15th Field Artillery Regiment RCA on 11 Nov 2004, Lieutenant in 2014, Captain in 2017. Gischer, Mark Ronald; Taken on strength as a Gunner in 15th Field Artillery Regiment RCA on 13 Jun 1987, qualified General Military Training on 13 Aug 1987, released on 10 Feb 1993. Gislason, Curtis Wilmar; Taken on strength 15th Field Regiment RCA on 5 Nov 1957, qualified Bandsman Group I on 15 Jan 1958, transferred to 15th Field Regiment RCA Military Band on 31 Oct 1958. Gladue, Bella Franciss; Taken on strength as a Supply Technician in 15th Field Artillery Regiment RCA on 8 Jan 1987, released on 12 Mar 1987. Glaspine, Lauren Gail; Taken on strength as a Finance Clerk in 15th Field Artillery Regiment RCA on 9 Jul 1979, qualified General Military Training on 2 Sep 1979, qualified TQ1 Finance Clerk on 22 Mar 1981, promoted Corporal on 22 Mar 1981, released on 20 Jun 1983. Glauser, WV; Private in 31 Battery in 1969. Godfrey, John Dand; 68th Battery Canadian Field Artillery Gunner Feb 1918, Corporal June 1918, England Sergeant Sept 1918, Canadian Army Pay Corps, Corporal Dec 1918, Canada and discharged Aug 1919. 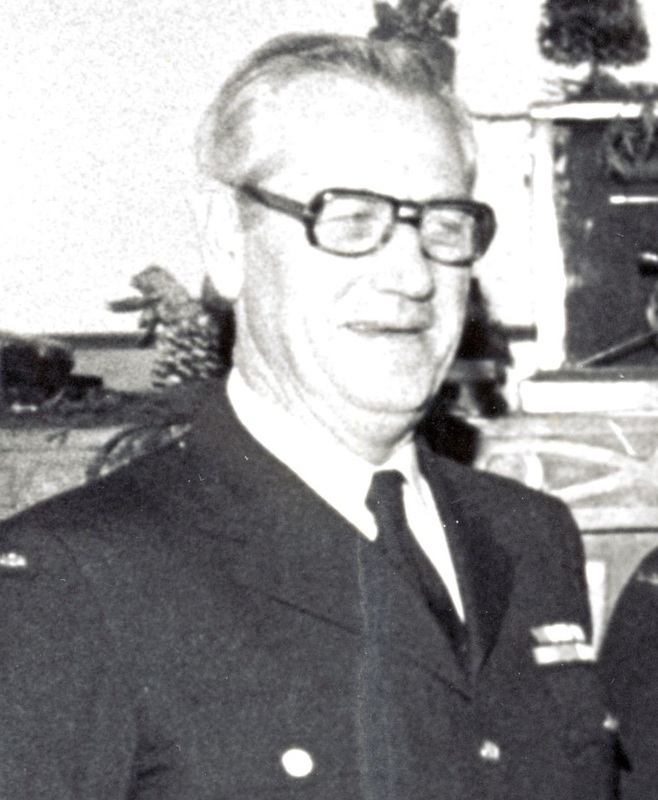 Godfrey, Kenneth Lloyd; Taken on strength as a Gunner in 15th Field Artillery Regiment on 11 Apr 1985, qualified General Military training on 9 Aug 1985, appointed Officer Cadet on 22 Mar 1986, qualified RESO Phase I&II on 8 Aug 1986, promoted Second Lieutenant on 8 Aug 1986, qualified TQ1 Artillery on 20 Sep 1986, qualified Driver Non-Trade on 30 Dec 1985, released on 12 Jun 1990. Godsoe, Clinton Scott Thomas; Taken on strength as a Gunner in 15th Field Artillery Regiment RCA on 1 Jun 2000, qualified Basic Qualification Level 2 on 24 Aug 2000, awarded Most Efficient Recruit of the Year trophy 2000, qualified Qualification Level 3 Artillery on 24 Aug 2001, qualified M109 conversion on 16 Mar 2001, awarded Gunner Douglas Corsor Jr. Memorial Trophy in 2002, promoted Acting Bombardier on 14 Dec 2002, Master Bombardier from 2006 to 2008, Sergeant in 2009, Lieutenant from 2010 to 2013. Goepel, William John Dorset; Taken on strength 31 Battery 15th (Vancouver) Coast Brigade RCA NPAM 30 Jul 1940, assigned regimental number VV9436, assigned new regimental number K415546. Goertz, Steven Burton; Taken on strength 15th Field Artillery Regiment RCA on 20 Apr 1979, qualified Artilleryman on 5 Apr 1980, promoted Bombardier on 1 Jan 1981, released 24 Sep 1981. Goes, Chris John; Taken on strength as a Gunner in 15th Field Artillery Regiment RCA on 30 Nov 1993, qualified QL2 common Recruit on 1 May 1994, released on 31 Jan 1995. Golden, Achilles Daunt; ​Taken on strength Earl Greys Own Rifles, taken on strength 48th Battalion Canadian Overseas Expeditionary Force 1 Mar 1915, regimental number 430048, appointed Acting Corporal 27 Mar 1915, reverts to ranks at own request 10 Jul 1915, 3 days Field Punishment #2 AWL 4 Sep 1915, taken on strength CASTD 1 Nov 1915, taken on strength Sup Col 28 Dec 1915, taken on strength 1st Canadian Cavalry Brigade 1 Jan 1916, promoted Corporal 10 Jan 1916, to be Acting Sergeant 10 Jan 1916, embarked for overseas 24 Jan 1916, granted 7 days leave of absence 16 June 1916, promoted Sergeant 30 Oct 1916, attended Canadian School of Gunnery 3 Apr 1917, to be Temporary Lieutenant Canadian Artillery 9 Jun 1917, taken on strength 2nd Brigade Canadian Field Artillery 9 Jun 1917, taken on strength 31 Battery 9th Brigade Canadian Field Artillery 2 Nov 1917, wounded 10 Nov 1917, on camouflage course 4 Feb 1918, taken on strength 25th Battery 6th Brigade Canadian Field Artillery 12 Feb 1918, granted 14 days leave 19 Mar 1918, evacuated to hospital left arm blown off 27 Sep 1918, awarded Military Cross 15 Feb 1919, sailed for Canada 10 Jun 1919, married Margaret Johnson 6 Apr 1921, deceased 23 Nov 1979 Toronto ON. Goldhawk, G; On 1947-1967 list of reunion invitees. Goldie, David Michael Mills; Lieutenant in 15th Field Brigade RCA in 1937, taken on strength from Supplementary Reserve on 14 Sep 1950, promoted Captain on 31 Aug 1954, attached fap to 24 Militia Group Headquarters on 7 Dec 1955, ceased attachment on 17 Jan 1957, promoted Major on 3 Sep 1957, appointed Battery Commander 85 Battery 0n 3 Sep 1957, Queen's Counsel, founding governor of the Law Foundation of British Columbia, a valued participant in the Cambridge Lectures of The Canadian Institute for Advanced Legal Studies as well as a member of the Canada- U.S. Legal Exchange and a Fellow of the American College of Trial Lawyers, deceased 21 March 2012. Goldie, James Alexander; 62nd Battalion Private July 1915, Corporal England Draft to 48th Reserve Battalion Oct 1915, France 8rd Pioneer Battalion March 1916, Wounded Zillebeke June 18 1916, 58th Battery Canadian Field Artillery Gunner Bombardier, Canada and discharged April 1919. 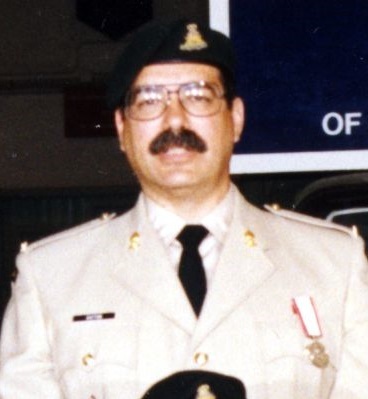 Golding, Christopher Henri; Taken on strength as a Gunner in 15th Field Artillery Regiment RCA on 22 Apr 1997, qualified QL2 Part I&II on 3 Aug 1997, qualified QL3 Artillery on 22 Aug 1997, transferred to 5 (BC) Field Regiment RCA on 26 Sep 2000. Goldney, Charles Edward; Taken on strength as a Gunner with 85th Battery 15th (Vancouver) Coast Regiment RCA NPAM on 9 Aug 1940, assigned regimental number V10463, to be Acting Bombardier 15 Sep 1940, assigned new regimental number K417505, to be Acting Sergeant 11 Oct 1940. Gonzalez, Werner Giovani; Taken on strength as a Gunner in 15th Field Artillery Regiment RCA on 11 Apr 1987, qualified General Military Training on 13 Jun 1987, qualified TQ2 Communications on 30 Dec 1987, qualified TQ1 Artillery on 11 Feb 1988, promoted Bombardier on 11 Apr 1989, qualified Artillery Recce Technician on 11 May 1990, transferred to Regular Force on 13 Sep 1990.Private in 31 Battery in 1989, Bombardier in 1990. Good, L; Private in 158 Battery in 1969. Goodfellow, Jennifer Karen; Taken on strength as a Gunner in 15th Field Artillery Regiment RCA on 5 Dec 1992, qualified General Military Training on 23 May 1993, qualified QL3 Artillery on 28 Mar 1994, qualified LFC Driver Wheeled on 10 Jun 1994, promoted Bombardier on 24 Jun 1995, qualified QL4 Basic Communications on 12 Jul 1995, transferred to 20th field Artillery Regiment RCA on 24 Oct 1996. 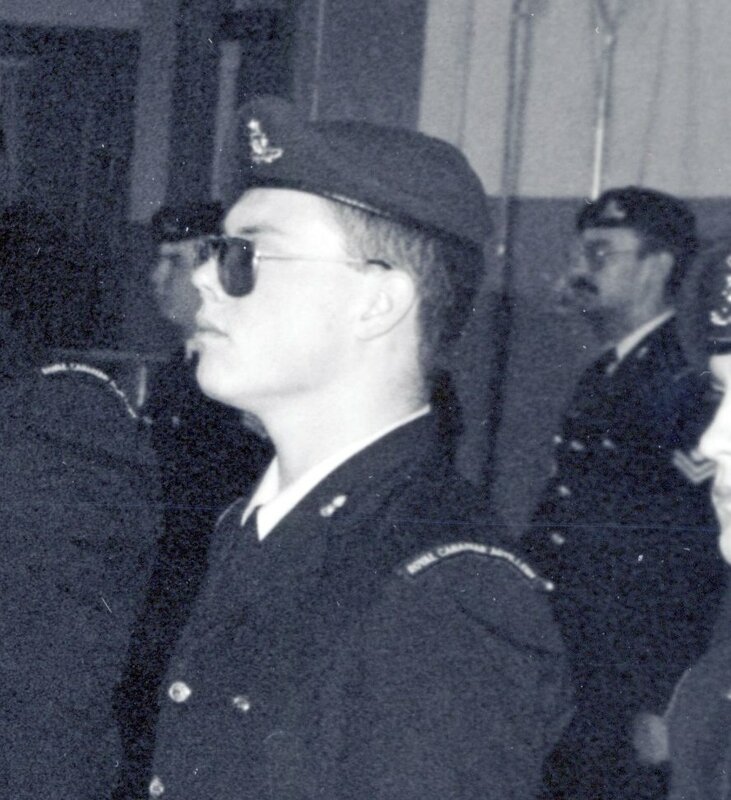 Goodman, Shane Frederick; Taken on strength North Saskatchewan Regiment, promoted Corporal, transferred to 15th Field Artillery Regiment RCA on 30 Jun 1994, released on 1 Dec 1994. Goodwill, Eric James; Taken on strength as a Gunner in 15th Field Artillery Regiment RCA on 20 Oct 1983, qualified General Military Training on 26 May 1984, qualified TQ1 Artillery on 4 Aug 1984, promoted Bombardier on 26 Jan 1985, qualified TQ2 Artillery Technician on 9 Aug 1985, qualified Demolitions Instructor on 1 Aug 1986, qualified Combat leaders Course on 3 Jul 1986, qualified Driver Non-Trade on 30 Dec 1985, promoted Master Bombardier on 15 May 1987, qualified TQ2 Communications on 30 Dec 1987, transferred to Seaforth Highlanders of Canada on 6 Apr 1989. Goodwin, William Alexander; ​Taken on strength 31 Battery 15th (Vancouver) Coast Brigade RCA NPAM 30 Jul 1940, assigned regimental number VV9437, assigned new regimental number K415547. Gooliaeff, Sam; Taken on strength 15 Field Regiment RCA on 11 Mar 1954, struck off strength on transfer to 8 Provost Company, C Pro C on 16 Dec 1954. Gordon, HD; On 1947-1967 list of reunion invitees. Gordon, Mervyn James; Taken on strength as a Gunner with 58th Battery 15th (Vancouver) Coast Regiment RCA NPAM on 14 Aug 1940, assigned regimental number V9940, assigned new regimental number K416557, to be Acting Lance Bombardier 15 Nov 1940, taken on strength 43rd Heavy Anti-Aircraft Regiment RCA 21 Apr 1947 as a Captain, promoted Major Mar 1952, transferred to AAOR as Commanding Officer Mar 1952, taken on strength 43rd Medium Anti-Aircraft Regiment RCA on amalgamation, taken on strength 15th Field Artillery Regiment RCA Oct 1959, Battery Commander 209 Battery 15th Field Artillery Regiment RCA in 1959 to 1961, struck off strength to Supplementary Reserve 1961, deceased 10 Feb 1970. 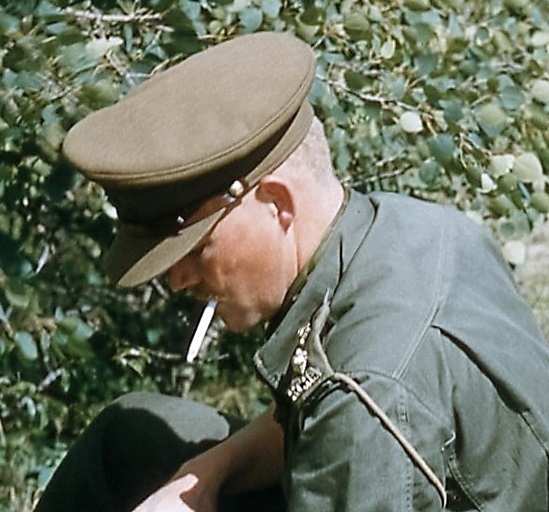 ​Gorham, Red; ​Lieutenant in 15th Field Regiment RCA in 1956. Gorman, E; Taken on strength 15th Field Regiment RCA on transfer from 43 Medium Anti-Aircraft Regiment RCA CA (M) on 18 Dec 1956, struck off strength on release on 15 Feb 1957. Gosse, JP; Bombardier in 85 Heavy Battery 15th (Vancouver) Coast Brigade RCA CASF on 26 Aug 1939, Taken on strength with 15 Coast Regiment RCA on 24 Oct 1946, Gunner in 31 Battery in 1948, struck off strength on 23 Mar 1950. 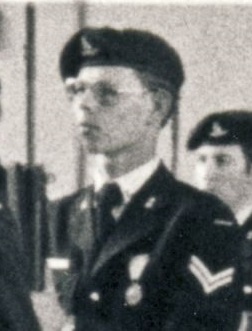 Gougeon, William Charles; Taken on strength 15th Field Regiment RCA on 14 Nov 1957, struck off strength on release on 15 Mar 1958. Gould, William Allan; Attested Canadian Overseas Expeditionary Force 23 May 1917, regimental #1250385, Gunner 76th Overseas Depot Battery Canadian Field Artillery, arrived England 4 Feb 1918, struck off strength to 68th Battery 16th Brigade North Russia Expeditionary Force 8 Sep 1918, proceeded overseas 20 Sep 1918, disembarked Archangel 1 Oct 1918, embarked for the United Kingdom 11 Jun 1919, to Canada 18 Jul 1919, discharged 1 Aug 1919. ​Govier, Richard Roland; Taken on strength as a Musician in 15th Field Artillery Regiment RCA on 13 Dec 1986, qualified general military Training on 13 Jun 1987, qualified TQ1 Artillery on 18 Jul 1987, qualified QL3 Musician on 10 Dec 1987, qualified QL4 Musician on 1 Feb 1988, promoted Bombardier on 1 Feb 1988, qualified Driver Non-Trade on 16 Feb 1989, qualified Artillery Recce Tech on 11 May 1990, released on 15 Feb 1994. Graber, Henry Frank; Taken on strength 15th Field Regiment RCA on enrolment on 13 Oct 1955, struck off strength on release on 10 Jan 1957. Gracie, Al L; On 1947-1967 list of reunion invitees. Graham, AG; Taken on strength 15th Field Regiment RCA from 1 Nova Scotia Highlanders (M) on 24 May 1956. ​Graham, Al; Second Lieutenant in 15th Field Regiment RCA in 1956. 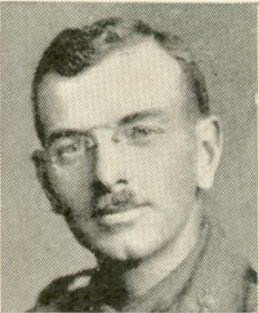 Graham, ASC; Lieutenant in 5th Siege Battery 15th Brigade Canadian Field Artillery from 1923 to 1924. Graham, Charlene Cheryl; Taken on strength as a Musician in The Royal Westminster Regiment on 1 Aug 1975, qualified General Military Training on 1 Feb 1982, qualified TQ2 Musician on 10 Nov 1983, transferred to 15th Field Artillery Regiment RCA on 31 Mar 1995, released on 14 Mar 1996. Graham, GA; Sergeant listed on the Warrant Officers and Sergeant’s Mess gong. Graham, JA; Lieutenant in 31st Battery 15th Field Brigade CA in 1928. Graham, Richard Alfred; Taken on strength as a Musician in The Queen's Own Rifles on 11 Sep 1992, transferred to 15th Field Artillery Regiment RCA on 15 Jan 1993,transferred to The Royal Westminster Regiment on 19 Oct 1993. Graham, Roland Creelman; 68th Battery Canadian Field Artillery Gunner Jan 1917, England June 1917, 12th Canadian Siege Battery July 1917, France 3rd Canadian Siege Battery Oct 1917, Khaki University Ripon Feb 1919, Canada and discharged Aug 1919. Graham, Scott Andrew; Taken on strength as a Second Lieutenant in 15th Field Artillery Regiment RCA on 12 Dec 2002. Grainger, Harry; Taken on strength as a Gunner with 58th Battery 15th (Vancouver) Coast Regiment RCA NPAM on 7 Aug 1940, assigned regimental number V9946, released 30 Nov 1940 no parades. Grangeaud, Christian Charles; Taken on strength as a Gunner in 15th Field Artillery Regiment RCA on 7 Jul 1980, qualified General Military Training on 27 Sep 1980, qualified TQ1 Artilleryman on 26 Feb 1981, released on 20 Jun 1983. Grant, DB; Bombardier in 15th (Vancouver) Coast Brigade RCA NPAM in 1940, appointed Second Lieutenant effective 2 January 1941, posted to 31 Battery 15th (Vancouver) Coast Brigade RCA NPAM in 1941. Grant, Diane Lynne; Taken on strength as an Administrative Clerk with 15th Field Artillery Regiment RCA on 27 Apr 1972, qualified Administrative Clerk on 27 Jul 1973, qualified Radio Operator on 17 Aug 1973, promoted Corporal on 1 Mar 1974, struck off strength on 29 Jan 1976. Grant, Donald Bathgate; ​Taken on strength 31 Battery 15th (Vancouver) Coast Brigade RCA NPAM 6 Aug 1940, assigned regimental number VV9438, appointed Acting Bombardier 15 Sep 1940, assigned new regimental number K415510. Grant, Douglas Peter; Taken on strength in 15th Field Regiment RCA on 7 Jun 1951, struck off strength on 6 Mar 1952. Grant, George Montague; Taken on strength 58th Battery 15th (Vancouver) Coast Brigade RCA 28 Aug 1940, assigned regimental number V10019, assigned new regimental number K416561. Grant, Iain S; Taken on strength as a Gunner in 15th Field Artillery Regiment RCA, Private in 2017. 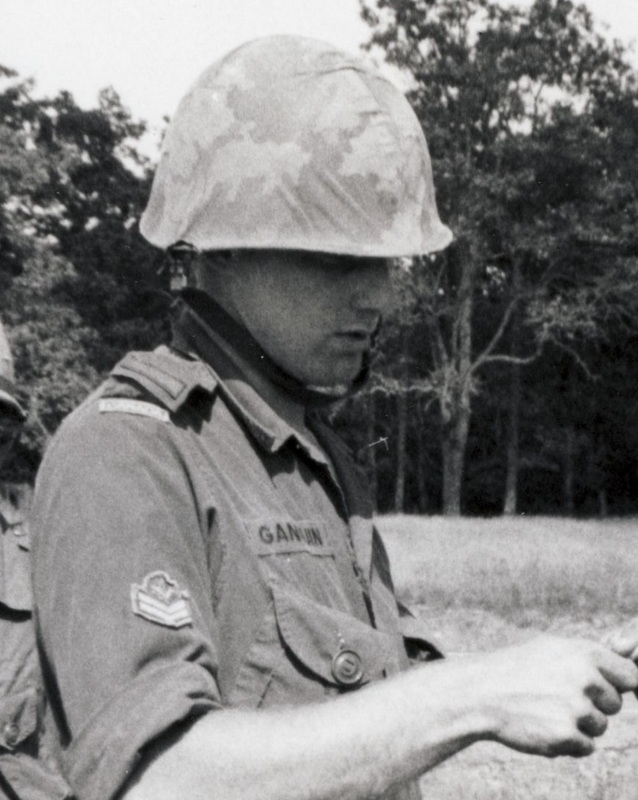 Grant, JM; Private in 31 Battery in 1969. Grant, Pat Conrad; Taken on strength as a Gunner in 15th Field Artillery Regiment RCA on 2 Jul 1984, released on 29 Nov 1984. Grant, Paul Alexander; Taken on strength as a Gunner in 15th Field Artillery Regiment RCA on 11 Jun 1996, qualified QL2 General Military Training on 6 Dec 1996, released on 6 Nov 1997. ​Grant, Robert Leo; Taken on strength 15th Field Regiment RCA on enrolment on 18 Sep 1956, struck off strength on release on 1 Sep 1957. Graves, Cy F; On 1947-1967 list of reunion invitees. Gray, Brian James; Taken on strength 15th Field Artillery Regiment RCA on 21 May 1974, promoted Second Lieutenant on 1 Sep 1974, promoted Lieutenant on 1 Sep 1975, released 1 Apr 1976. ​Gray, David; Taken on strength 31 Battery 15th (Vancouver) Coast Brigade RCA NPAM 6 Aug 1940, assigned regimental number VV9439, assigned new regimental number K415548. ​Gray, James Gordon; Taken on strength as a Gunner with 58th Battery 15th (Vancouver) Coast Regiment RCA NPAM on 31 Jul 1940, assigned regimental number V9941, assigned new regimental number K416558. ​Gray, John Pollock; ​Taken on strength as a Gunner with 58th Battery 15th (Vancouver) Coast Regiment RCA NPAM on 31 Jul 1940, assigned regimental number V9942, assigned new regimental number K416559, struck off strength convicted of a civil offence 15 Nov 1940. 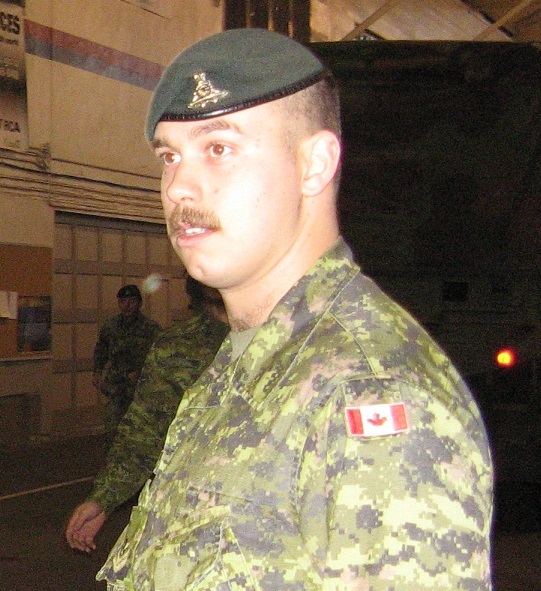 Gray, Nicholas Thomas; Taken on strength 15th Field Artillery Regiment RCA on 23 May 2002, qualified Basic Military Qualification on 26 Jul 2002, qualified Artilleryman on 30 Aug 2002, promoted Bombardier, awarded Most Efficient Bombardier of the Year 2007. Gray, RO; On 1947-1967 list of reunion invitees. Gray, Thomas Gordon; Taken on strength Canadian Officers Training Cadre, attested Canadian Overseas Expeditionary Force 13 Apr 1916, regimental #337879, Gunner 67th Depot Battery, arrived England 28 Jun 1916, shell wounded head 21 Apr 1917, taken on strength 68 Battery 16th Brigade North Russia Expeditionary Force 21 Aug 1918, proceeded overseas 20 Sep 1918, disembarked Archangel 1 Oct 1918, awarded St George's Cross, embarked for the United Kingdom 11 Jun 1919, to Canada 5 Jul 1919, discharged 15 Jul 1919, deceased 4 Jul 1947, interred Mount Pleasant Cemetery Toronto ON. Gray, Walter Blair; Taken on strength in 15th Field Regiment RCA on 19 Mar 1953, struck off strength on 24 Sep 1953. Gray, William Stephen; ​Taken on strength as a Gunner with 58th Battery 15th (Vancouver) Coast Regiment RCA NPAM on 7 Aug 1940, assigned regimental number V9943, assigned new regimental number K416560. Greaves, Thomas Bernard; Attested in Canadian Overseas Expeditionary Force #301771 25 Nov 1915, 38th Battery Overseas Battery, embarked St John NB 26 Feb 1916, disembarked Plymouth England 12 Mar 1916, proceeded overseas to France 13 Jul 1916, 10th Brigade Canadian Field Artillery, granted leave 9 Aug 1917, rejoined unit 23 Aug 1917, shrapnel wound to knee 7 Nov 1917, rejoined unit 30 Nov 1917, having completed 2 years service with good conduct is awarded 1 good conduct badge 11 Jan 1918, proceeds to Machine Gun school 20 Feb 1918, rejoins unit 28 Feb 1918, appointed Acting Bombardier 1 Apr 1918, promoted Corporal 4 Apr 1918, proceeds to England with a view to obtaining a commission in the Royal Air Force 19 May 1918, taken on strength Canadian Artillery Reinforcement Depot 10 Jun 1918, taken on strength Composite Brigade 12 Jun 1918, taken on strength 68 Battery 16 Brigade 21 Aug 1918, proceeded overseas to North Russia Expeditionary Force 20 Sep 1918, disembarked Archangel 1 Oct 1918, awarded Military Medal for Bravery in the Field 23 Mar 1919, Corporal in "C" Sub Section Apr 1919, appointed Acting Sergeant with pay 14 Apr 1919, confirmed in rank of Sergeant 10 Jun 1919, embarked Archangel for the United Kingdom 18 Jun 1919, to Canada 5 Jul 1919, discharged 16 Jul 1919. Green, Athol Reginald; Driver in 15th Brigade Canadian Field Artillery in 1916, deceased 17 December 1973. 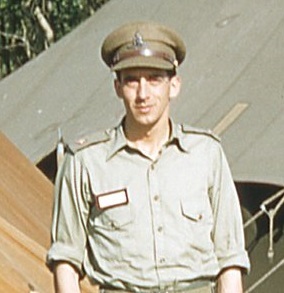 Green, E; Lieutenant in 15th (Vancouver) Coast Regiment RCA in 1942. 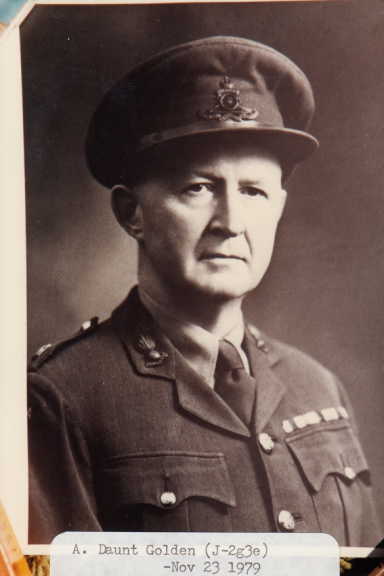 Green, George Munro; Taken on strength with 85 Battery 15th Field Regiment RCA from the Supplementary Reserve of Officers as a Lieutenant on 5 Feb 1948, to be Captain on 1 Sep 1949, struck off strength on transfer to 32 Field Regiment (Self-Propelled) on 17 Apr 1950. Green, Philip William; ​Taken on strength as a Gunner with 85th Battery 15th (Vancouver) Coast Regiment RCA NPAM on 2 Aug 1940, assigned regimental number V10417, to be Acting Bombardier 15 Sep 1940, assigned new regimental number K417506. 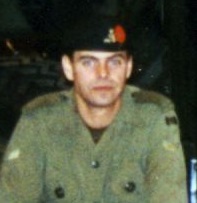 Green, Robert Tyrone; Taken on strength 15th Field Regiment RCA on 9 May 1957. Green, Thomas Bruce; Taken on strength as a Gunner in 15th Field Artillery Regiment RCA on 11 Jan 1990, qualified QL2 General Military Training on 29 Apr 1990, released on 30 Jan 1995. ​Green, William Horace; ​Taken on strength 31 Battery 15th (Vancouver) Coast Brigade RCA NPAM 30 Jul 1940, assigned regimental number VV9440, assigned new regimental number K415549. Greenwood, GRW; Taken on strength in 15 Field Regiment RCA on 11 May 1950, struck off strength on 12 Feb 1954. Greenwood, James Edwin; ​Taken on strength as a Gunner with 58th Battery 15th (Vancouver) Coast Regiment RCA NPAM on 7 Aug 1940, assigned regimental number V9944, assigned new regimental number K416562, struck off strength on transfer Royal Canadian Air Force 27 Dec 1940. ​Gregg, Charles; Taken on strength in 68th Depot Battery, Gunner in 2nd Divisional Ammunition Column in 1917, deceased 1 January 1917, buried at Barlin Military Cemetery, France. Gregg, Elwyn Emerson; 68th Battery Gunner Aug 1916, England Dec 1916, France 8rd Divisional Ammunition Column March 1917, Canada and discharged April 1919. Gregg, Harold Martin; Lieutenant in 102nd Coast Regiment RCA in 1954, taken on strength on transfer 15th Field Regiment RCA on 25 Oct 1954, struck off strength on transfer to Supplementary Reserve (RCA) on 31 Oct 1957. Gregg, Tim Bryce; Taken on strength 15th Field Artillery Regiment RCA on 25 Oct 1973, remustered as a Musician on 20 Oct 1975, released 1 Jun 1978. ​Gregory, Jonathan Peter; Taken on strength as a Gunner in 15th Field Artillery Regiment RCA on 4 Mar 1982, qualified General Military Training on 11 Aug 1982, qualified TQ1 Artilleryman on 14 Oct 1982, qualified TQ2 Artillery Basic Communications on 13 Jan 1983, promoted Bombardier on 4 Mar 1983, released 31 Mar 1984. Gregory, Lloyd Willoughby; ​Taken on strength 31 Battery 15th (Vancouver) Coast Brigade RCA NPAM 6 Aug 1940, assigned regimental number VV9441, assigned new regimental number K415550. Greig, Douglas Stuart; Lieutenant in 102nd Coast Regiment RCA in 1954, taken on strength on transfer 15th Field Regiment RCA on 25 Oct 1954, struck off strength on transfer to Supplementary Reserve (RCA) on 17 Jan 1956. Greig, Graeme Aaron Daniel; Taken on strength as a Gunner in 15th Field Artillery Regiment RCA on 13 Jun 2002, Basic Military Qualification on 26 Jul 2002, qualification Level 3 Artilleryman on 30 Aug 2002, qualified QL4 Artillery Communications on 16 Mar 2003. Greig, Hugo; Taken on strength as a Gunner with 58th Battery 15th (Vancouver) Coast Regiment RCA NPAM on 7 Aug 1940, assigned regimental number V9945, assigned new regimental number K416563. Grewal, JS; Bombardier in 2014. Grewal, Kulbir Singh; Taken on strength as a Gunner in 15th Field Artillery Regiment RCA on 6 May 1993, released on 30 Nov 1993. 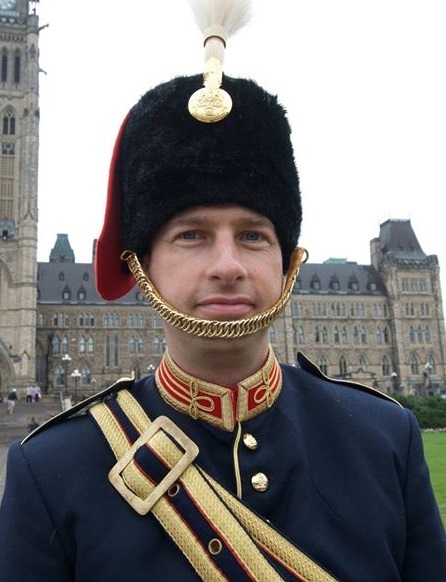 ​Grieve, Andrew William; Taken on strength as an Officer Cadet in 15th Field Artillery Regiment RCA on 5 Jun 2003, Second Lieutenant from 2003 to 2005, Lieutenant from 2005 to 2009, Captain from 2009 to 2013, Major from 2014 to 2016. Griffin, Ernest Henry; Taken on strength as a Gunner with 58th Battery 15th (Vancouver) Coast Regiment RCA NPAM on 31 Jul 1940, assigned regimental number V9947, assigned new regimental number K416564. Griffith, John Arthur M; Taken on Strength in 15th Coast Regiment RCA on 5 December 1946, struck off strength on 31 Mar 1948. Griffith, Sydney; Taken on strength as a Musician in 15th Field Artillery Regiment RCA, Master Corporal, released on 20 Apr 1995. Grimes, Walter; Royal Canadian Garrison Artillery for 10 years, Gunner in 15th Brigade Canadian Field Artillery in 1916, deceased 23 October 1957. Griffiths, Vernon J; Private in the Regimental Band from 1988 to 1989. Grimsdale, Henry Douglass; Attested Canadian Overseas Expeditionary Force 27 Mar 1916, regimental #347629, Gunner 4th Divisional Ammunition Column, arrived England 22 Sep 1916, taken on strength to 68th Battery 16th Brigade North Russia Expeditionary Force 21 Aug 1918, proceeded overseas 20 Sep 1918, disembarked Archangel 1 Oct 1918, embarked for the United Kingdom 11 Jun 1919, to Canada 5 Jul 1919, discharged 15 Jul 1919. Grimway, JH; Gunner in the 43rd Medium Anti-Aircraft Regiment RCA Band in 1958. Grinstead, WA; On 1947-1967 list of reunion invitees. Grisdale, Arthur; Attested 7th Battery Canadian Field Artillery Canadian Overseas Expeditionary Force 10 Sep 1915, taken on strength 31st Battery 8th Brigade Canadian Field Artillery 16 Nov 1915, regimental number 302653, embarked from St John 5 Feb 1916, disembarked Plymouth 14 Feb 1916, to Woolwich for a Fitters and Wheelers Course on 12 Jun 1916, returned to unit 24 Jun 1916, landed in France 14 Jul 1916, killed in action 4 Nov 1916, buried Albert Communal Cemetery Extension Somme France. Grondin, Chantale; Regular Force Unit Administrative Assistant, posted to National Defence Headquarters from 1996 to 1998. 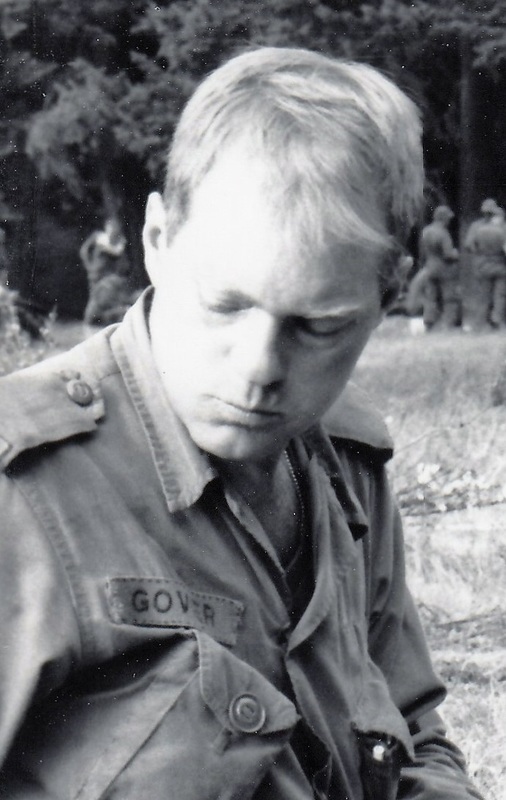 Grover, Roger William; Taken on strength 15th Field Artillery Regiment RCA on 9 Jul 1979, qualified Artilleryman on 5 Apr 1980, promoted Bombardier on 9 Jul 1980, qualified Basic Artillery Technician on 11 Aug 1980, qualified Arty Communicator on 20 Aug 1980, qualified Driver Non-Trade on 18 Dec 1980, released 15 Nov 1982. 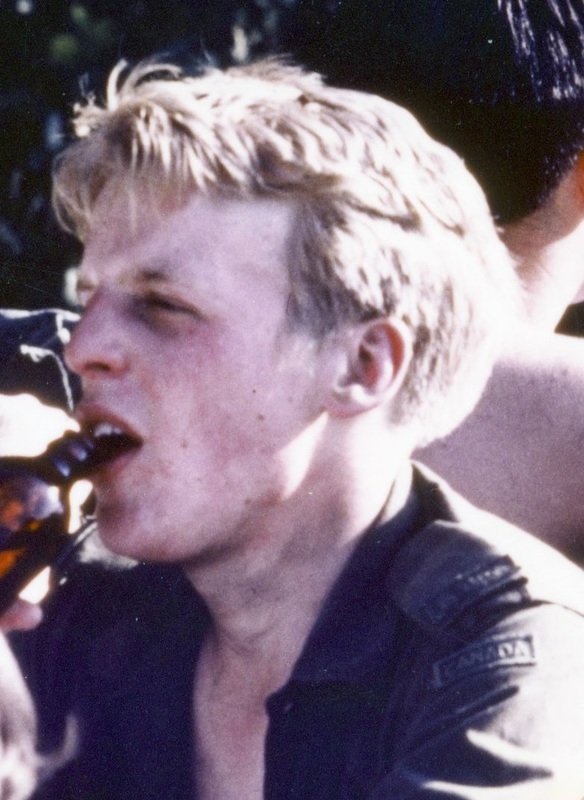 ​Gruban, Dagobert Wilhelm Alwin; Bombardier in 1964, Lance Sergeant in 1964, Sergeant from 1965 to 1967, Warrant Officer from 1968, released 20 Sep 1978. 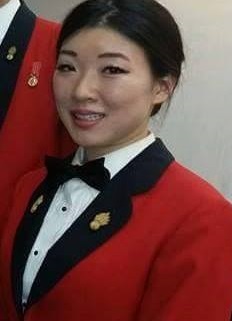 Gu, Tracy S; Taken on strength as a Musician in 15th Field Artillery Regiment RCA, Bombardier in the Regimental Band in 2015. Guan, Joseph H; Taken on strength as a Gunner in 15th Field Artillery Regiment RCA, Private in 2017. 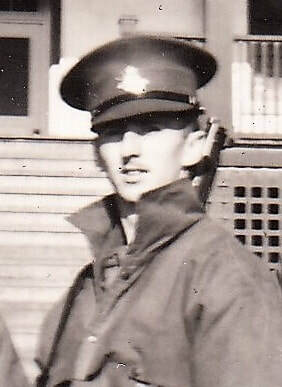 Guerin, GARW; Private in 31 Battery in 1969. ​​Guernsey FW; Lieutenant in 5th Medium Battery 15th Field Brigade CA from 1928 to 1930, Captain in 15th Field Brigade RCA in 1937, Battery Commander 85th Battery Yorke Island 26 Aug 1939 to 17 Sep 1939, Major from 1939 to 1940, promoted Lieutenant-Colonel. Guildford, David Adams; Taken on strength as a Private in Cyclist Platoon on 3 Dec 1914, discharged 21 Apr 1915 to commission in Active Militia, enlisted in Canadian Expeditionary Force on 14 Sep 1915 with previous service in Canadian Garrison Artillery, embarked Canada on 31 Mar 1916, to be Lieutenant 13 Dec 1916, 64th Battery, transferred to 15th Battery on 17 Jun 1916, transferred to 165th Siege Battery Canadian Garrison Artillery on 5 Dec 1916, taken on strength 5th Canadian Siege Battery on 13 Dec 1916, Mentioned in Despatches 31 Oct 1918, enlisted Active Service as Major on 26 Sep 1939 , promoted Lieutenant Colonel and appointed Commanding Officer of #6 Depot on 19 Aug 1940, detached for temporary duty to No. 1 Transit Camp as Admin Officer and Second in Command on 1 Jan 1943, assumes command of No.1 Transit Camp on 9 Oct 1943, posted to #6 District Depot on 31 Dec 1944, placed on Res. Active officers List on 2 Aug 1945, deceased 21 Dec 1947, buried at Camp Hill Cemetery Halifax NS. Gunderson, Einar Maynard; Taken on strength as a Private in Seaforth Highlanders of Canada on 5 May 1981, released on 20 Oct 1981, re-enrol as a Gunner in 15th Field Artillery Regiment RCA on 23 Nov 1982, released 3 Feb 1983. Gunn; Bombardier in 85 Battery 15th Field Artillery Regiment RCA 1961. 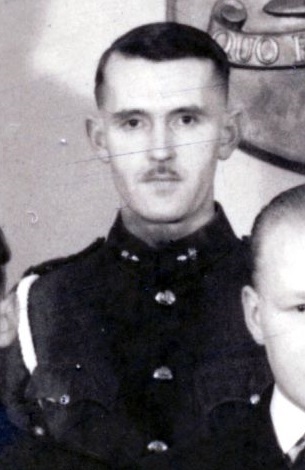 Gunn, Frank James; Taken on strength from 19 Medium Regiment RCA (Canadian Army Reserve Force) as Sergeant to 15th Field Regiment RCA on 1 Nov 1951, struck off strength on 1 Jan 1952. Guttridge, G; Sergeant listed on the Warrant Officers and Sergeant’s Mess gong. 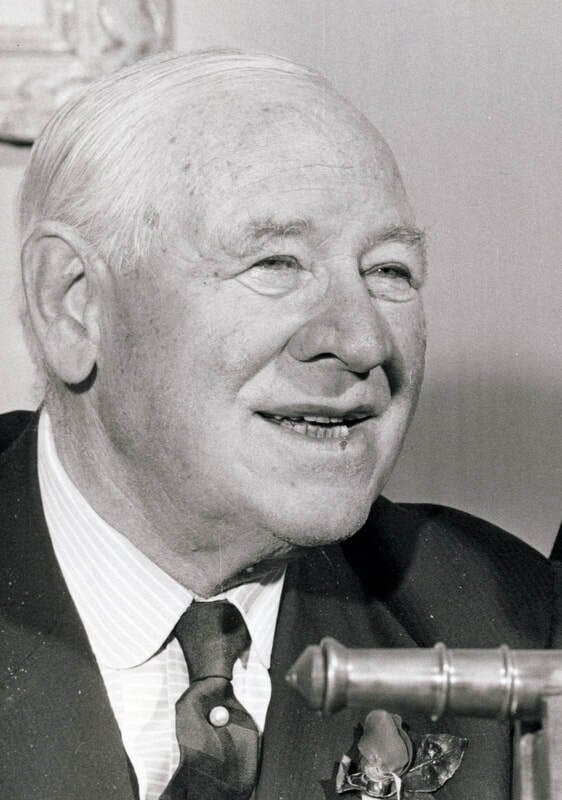 ​​Guttridge, Raymond; British National Fire Service from 1944 to 1946, Royal Air Force from 1947 to 1949, Royal Air Force Volunteer Reserve from 1949 to 1957, 8th Technical Regiment, Royal Canadian Electrical Mechanical Engineers from 1958, Warrant Officer Class II from 1966 to 1968, Chief Warrant Officer and Regimental Sergeant Major from 1968 to 1972, Struck off strength 1972, deceased 20 June 2003.